It’s finally come to an end, Smash Ultimate is here and since its release on December 7th it has taken over the local scene and it’s given us all a fresh game to start off with. Gone is the knowledge and upper hand the veteran players had over the new, for the first time it’s an even playing field as everyone learns new characters as well as try to find out what has changed with mains. 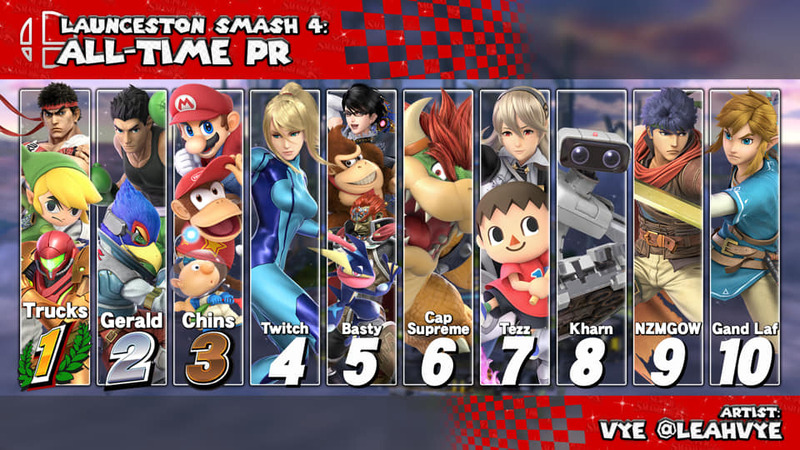 But with all this, we take some time to recognise the top players in the smash Launceston scene. From brawl veterans such as Trucks, Chins and Twitch to newer competitive players like Kharn, Gand Laf and NZMGOW, we here at Down Tilt have correlated data from 4 years worth of tournaments. 100’s of tournaments, 1000+ matches and a combined total of over 3000+ hours on the tournament Wii U’s alone! It has been a great 4 years and we thank every one of the 80+ unique players who at one point competed in Launceston. We hope to see some of you return for Ultimate and we thank the ones who continue to play. From all of us here at Down Tilt.